Gazprom investigated by EU anti-trust – high time! Finally the EU has woken up to something that has long been obvious. Another sign that the (market) power of Gazprom is waning. 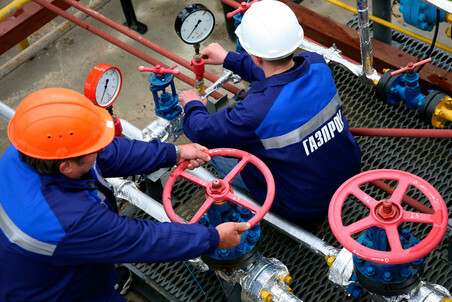 The European Commission has just launched a formal investigation into whether Gazprom breached antitrust rules in its Central and Eastern European sales practices. Suspected anti-competitive practices include the restriction of free gas flow in the region, blocking supply diversification efforts, and unfair pricing. This is another sign that the (market) power of Gazprom is waning. The company has always behaved like this: trying to achieve different sales prices for different EU markets, depending on their dependency on Gazprom. It was also trying to hinder the arbitrage between EU markets with different long-term contract prices. Even though everybody knew, somehow that was not challenged until recently… this new boldness has to do with shale gas and the changing market dynamics in Europe again – phenomena that even the Russians have started to acknowledge recently. Gazprom’s behavior may have made sense economically (every seller would like to discriminate in its pricing), but in the face of growing alternative supplies (mainly LNG to western Europe) and weak European demand it was always likely that it would be challenged at some point by the EU. And you should not be able to hand-pick your prices in different EU markets in any case if the common market has any meaning. The common market, however, can only function properly if there are available transport capacities (pipelines, LNG) to make a competition viable. Large gas companies’ market power has declined in Western Europe exactly because the transport routes were there. That contrasts with much weaker interconnections among Central and Eastern European countries, which remain fragmented. No EU anti-trust decision may substitute for infrastructure, but it may help constraining market power, especially once the physical connections are there. (For example, you do not need to breach EU competition laws by limiting where your customers may sell the gas they bought from you, if they simply are not physically able to sell it elsewhere). The only odd thing in the EU accusations is that it lists “linking gas prices to oil” as a charge. Well, that has been standard industry practice until recently in Europe, and still is in many parts of the world, especially for Asian exporters. It is not just Gazprom, who sells some of its gas at prices linked to oil in Europe, but most other large exporters as well, including Norway and Algeria. In itself that should not be a crime, even if the world has moved on and now spot markets are more significant in Europe than they used to be. The recent announcement follows a number of dawn raids (unannounced inspections) at European gas companies a whole year ago, and there are no formal deadlines. So do not expect a fast process and a large solution making it to the headlines next year. ← Shale gas under the reds’ bed?